SFP Media Converter is a Fiber to Ethernet Media Converter with Fast Ethernet ports, dual-rate Fast/Gigabit Ethernet ports, or Gigabit Ethernet ports. The ports allow for flexible network configurations using SFP transceivers. And the Fast Ethernet SFP Media Converter uses Fast Ethernet SFPs. According to the types of Fast Ethernet SFPs, there are corresponding kinds of Fast Ethernet SFP Media Converters. We should know the Fast Ethernet standards to understand this device. Fast Ethernet is a collective term for a number of Ethernet standards that carry traffic at the nominal rate of 100Mbps, against the original Ethernet speed of 10Mbps. There are several Fast Ethernet standards including 100Base-T, 100Base-TX, 100Base-FX, 100Base-SX, 100Base-BX, etc.. Obviously, the “100” means 100Mbps rate. 100Base-T is an initial Fast Ethernet standard for twisted pair cables. The segment length for a 100Base-T cable is limited to 100m. 100Base-TX is the predominant form of Fast Ethernet, and runs over two wire-pairs inside a CAT5 or above cable. Since a typical CAT5 cable contains 4 pairs, it can support two 100Base-TX links with a wiring adaptor. Of the Fast Ethernet standards, 100Base-TX is by far the most widespread and is supported by the vast majority of Ethernet hardware currently produced. 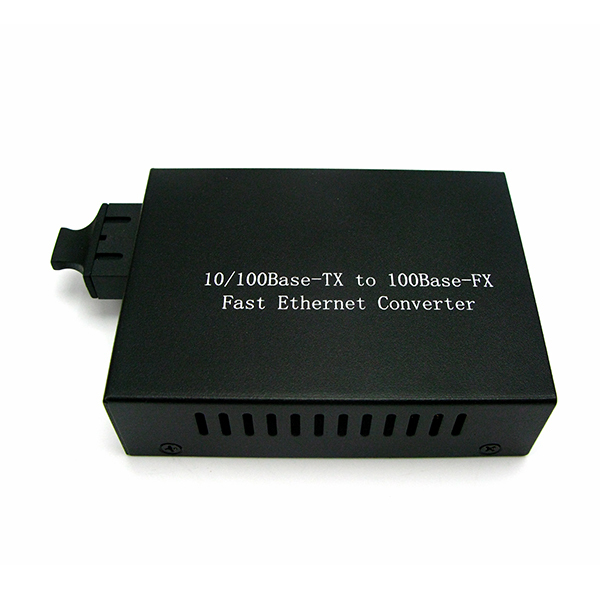 100Base-FX is a version of Fast Ethernet over optical fiber. It uses a 1300nm NIR light wavelength transmitted via two strands of optical fiber, one for receive(RX) and the other for transmit(TX). 100Base-FX should use SC, ST, LC, MTRJ or MIC connectors with SC being the preferred option. However, it is not compatible with 10Base-FL, the 10Mbps version over optical fiber. A 100Base-FX SFP operates on ordinary MMF (multimode fiber) link spans up to 2km. 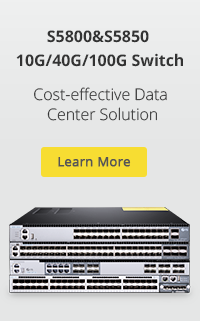 100Base-SX is another version of Fast Ethernet over optical fiber. It uses two strands of multimode optical fiber for RX and TX. It is a lower cost alternative to using 100Base-FX, because it uses short wavelength optics which are significantly less expensive than the long wavelength optics used in 100Base-FX. 100Base-SX can operate at distances up to 550m. It uses the same wavelength as 10Base-FL. Unlike 100Base-FX, this allows 100Base-SX to be backwards compatible with 10Base-FL. Because of the shorter wavelength used (850nm) and the shorter distance it can support, 100Base-SX uses less expensive optical components (LEDs instead of lasers) which make it an attractive option for those upgrading from 10Base-FL and those who do not require long distances. 100Base-BX is a version of Fast Ethernet over a single strand of optical fiber, while 100Base-FX uses a pair of fibers. Single-mode fiber is used along with a special multiplexer which splits the signal into TX and RX wavelengths. The two wavelengths used for TX and RX are 1310/1550nm. The terminals on each side of the fiber are not equal, as the one transmitting downstream uses the 1550nm wavelength, and the one transmitting upstream uses the 1310nm wavelength. Its transfer distances can be 10, 20 or 40 km. A 100Base-BX SFP operates on ordinary SMF (single mode fiber) single-strand link spans up to 10km. Contraposing to these different standards, Fast Ethernet SFP Media Converters are designed with different SFP ports to support the 100Base-T SFP, 100Base-FX SFP, 100Base-SX SFP, 100Base-BX SFP and even 100Base-FX to 100Base-TX SFP transceiver which is used in the converter with two SFP ports (100Base-FX and 100Base-TX). FiberStore supplies not only 100Base SFP Media Converters for Fast Ethernet, but also 1000Base SFP Media Converters for Gigabit Ethernet. These SFP Media Converters extend copper to fiber, multimode to multimode and multimode to single mode fiber by working with the SFP module. 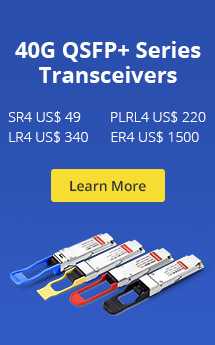 An extensive range of SFP Media Converters are in stock to meet every fiber conversion need. Tips: Link Pass Through is a troubleshooting feature that allows the media converter to monitor both the fiber and copper RX ports for loss of signal. Auto-MDIX is a function automatically detects and configures the twisted pair port on the converter to the correct MDI-X configuration. This entry was posted in Network Media Coversion and tagged 100Base-FX to 100Base-TX SFP transceiver, fiber to Ethernet media converter, SFP module. Bookmark the permalink.